Sharkeez, Manhattan Beach – If great food and drink specials are what you’re after for this coming Sunday, Baja Sharkeez is probably your best bet. There will be a huge raffle going on throughout the game as well with smart watches, GoPROs, LCD TVs, snowboards and lift tickets being given away. They’ll have food specials during the entire game and drink specials for the first quarter. Drink specials include Monster Mimosa’s for $7, Budweiser/Bud Light for $4.75 and 64oz pitchers of select beers for $13.50. They’ll also have fajita, Buffalo wings and taco specials throughout the game. Shellback Tavern – Built by the great, great granddaughter of famous composer Sebastian Bach back in 1922, Shellback has been a neighborhood gem for over 90 years. 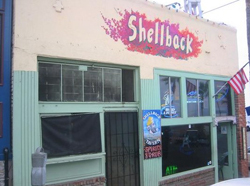 Having survived decades of change and transformation, Shellback is now owned by Manhattan Beach native Bob Beverly. Be sure to get there early before the crowds take over and make finding a seat nearly impossible. Hennessey’s – Originating in Hermosa Beach back in 1976, Hennessey’s has grown tenfold throughout the years. The Manhattan Beach location will be extending their happy hour menu for the game on Sunday. They’ll also have special pulled pork platters, Italian hoagies, crab and artichoke dip to represent Seattle and Buffalo burgers for Colorado fans.